Did You Know: Vinti watch D3 under a pillow..? Team D3ers: Where did you study? Team D3ers: Do you have any siblings? Vinti: elder sis younger bro .. Team D3ers: Mama's girl or Papa's little princess? Team D3ers: What's your favorite music genre? Vinti: hip hop all the way man .. Team D3ers: Coke or Pepsi? Team D3ers: Do you have any weird habits that you don't like and want/like to get rid of? Vinti: yeaaa so many ... m too messy n lazy .. n go crzy dam often like fits types hhaha.. Team D3ers: Are you a foodie? If yes, what's your favorite dish? Team D3ers: What do you look for in a guy? Team D3ers: What makes you angry? Team D3ers: Which super power do you like to have and why? Team D3ers: Who do you look up to when it comes to acting? Any favorite actor/actress? Team D3ers: Who are your inspirations/role model/ idols? Team D3ers: You're a really good dancer. Which dance form are you trained in? Team D3ers: If you had a million dollars how would you spend it? Team D3ers: What's your favorite color? Team D3ers: What's the last movie you went to see? Team D3ers: If you could meet someone living or dead,who would it be and why?Pick one man, and one woman. Team D3ers: If you would like to go on a trip, where would that be? Team D3ers: How was life like before D3? Team D3ers: How did you come to know about D3? How did it all happen? Team D3ers: Who are you closest to among the casts of D3? Team D3ers: Do you like your name Vishakha? Team D3ers: How many days in a week do you shoot for the show? Team D3ers: How is it like facing the camera for the first time? 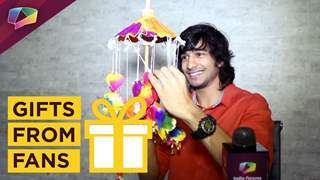 Team D3ers: Do you watch D3 on television? How does it feel when you watch yourself on TV? Do you like your acting? Team D3ers: It seems as Palki is a really chilled out person as seen on her interviews and pictures..so, tell us something about her. Vinti: dude she is just awsumm she rocks man awsum person to work with brings out the best in u ... amazing person to have around we all hold her in high regards.. Team D3ers: Does she gets upset if you guys don't get the scenes right? Team D3ers: Did you know any of the casts before D3? Vinti: yup rinni she was in my college .. Team D3ers: As seen on the behind the scenes videos, It seems as you guys really have bundle of fun while shooting..so, any fun moments that you would like to share with us? Who is the funniest and the prankster on the sets? Team D3ers: What's your favorite thing about being on D3? Team D3ers: There are many fan pages of D3. Do you visit them? 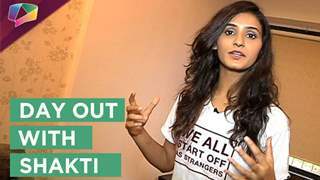 FROM TEAM D3ers: THANK YOU SOOO MUCH VINTI FOR GIVING US YOUR PRECIOUS TIME FOR THIS INTERVIEW! WISHING YOU MORE SUCCESS AND HAPPINESS IN YOUR LIFE.. I love Vinti :D Haha she's so cute and funny! lolzz she keeps saying man jus lyk me, i cnt finish my sentences wivout man hehehe.